Actress Scarlett Johansson revealed she would be open to running for public office in the future in an interview Wednesday. In a conversation with Good Morning America‘s Michael Strahan, the 32-year-old Avengers star said she has been “interested” in local politics for some time, but family commitments and her film career have kept her plenty busy. In recent months, Johansson has become a vocal critic of President Donald Trump. In September, the actress appeared alongside her Avengers cast mates in a voter registration PSA meant to rev up support among younger voters and millennials to turn out on Election Day for former Democratic presidential candidate Hillary Clinton. The pro-abortion actress also participated in the anti-Donald Trump Women’s March in Washington D.C., where she delivered a speech railing against the president. 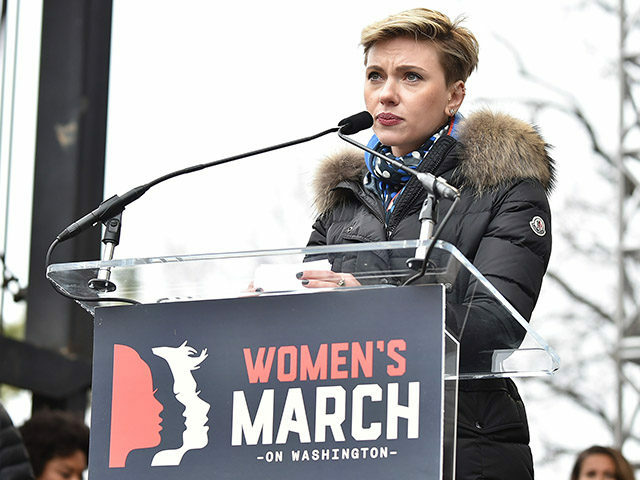 In her interview Wednesday, Johansson said she would continue to support left-wing organizations like Planned Parenthood even if it causes some people to stay away from her films. “If fighting, you know, for women’s rights, for women’s reproductive rights, and you know, in support of Planned Parenthood, if that’s going to, you know, mean that some people don’t want to buy a ticket to see Ghost in the Shell, then … I’m OK with that,” she said.